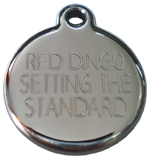 Dog ID tag, deep engraved by Red Dingo. 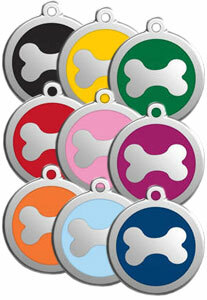 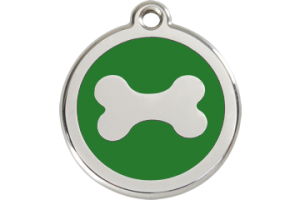 Hard-wearing polished stainless steel dog tag with enamelled Bone design, size Small 20mm diameter. 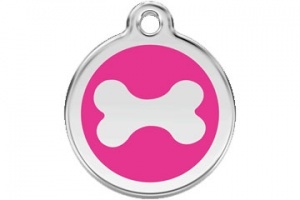 I love these tags and my spoilt Cockapoo has one to match each of her collars! 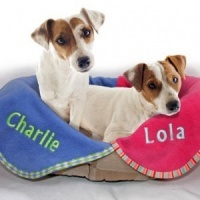 They quality is excellent, the service was fast and there is a great range of design and colour. I'll back for more. 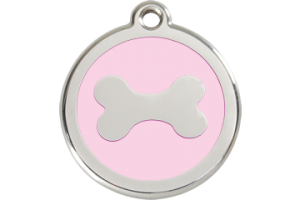 This id tag is great. 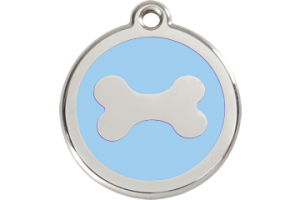 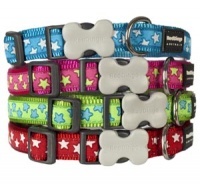 The colour is bright, it is really sturdy & the engraving really clear. 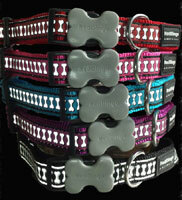 Arrived very quickly & I'm really pleased with it! 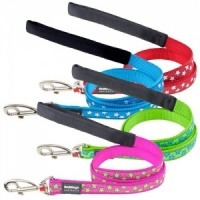 Very pleased with the quality, certainly sturdier than others I have purchased elsewhere even the tiny puppy one....so cute and the colour is so vivid. 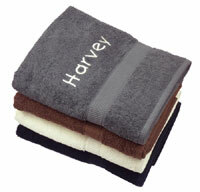 Delivery and service faultless.....would recommend.